With over 1,000 families, Ela Soccer Club is the largest youth sports organization in the Lake Zurich, Hawthorn Woods, Kildeer, Long Grove, Deer Park and surrounding area. Your marketing involvement will not only make a difference with your business but also with our entire organization. We invite you to consider the positive influence your business could have by promoting excellence in the youth in our communities. 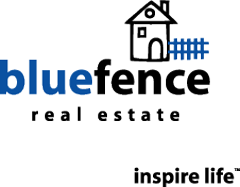 Blue Fence is a full-service real estate company with agents that serve all of the greater Chicagoland area. Blue Fence offers professional services including purchasing, selling and renting in residential, commercial and investment transactions. Not all real estate agents are the same. In fact, we pride ourselves on our unique marketing including our 16-step Smart Sellers Program and our exclusive online real estate network. For more information about the company or its services, please visit: www.bluefence.com or contact Doug Anderson at 847-557-0106, ext 110 or via email. For additional locations throughout Chicagoland and USA, please visit our website. Lake Zurich Travel has been planning perfect vacations for over 40 years. We're proud members of Signature Travel Network, a travel cooperative with $3 billion in purchasing power. For our clients, that translates into the best experiences and amenities. We are your neighborhood agency with a global reach, and the name our community trusts for first-hand destination knowledge and our ability to find clients the best value for their money. Trust us to plan your next vacation!